Dwarka which is believed to have been the first capital of Gujarat, literally means “gateway to heaven”. It is the nagri of Krishna where he migrated from Mathura post Mahabharata with his clan of yadavas. It’s been believed that actual Dwarka was made of gold and is submerged in sea. Myths apart this place is really surreal. At the mouth of Gulf of Kutch, Dwarka has a subtropical desert and hot climate. I recently had the privilege to visit this magical place which is full of stories, mysteries and sand. Yes, sand. This cursed pilgrimage gets water from 20km away through pipelines. People told us that even from wells they get salt water. 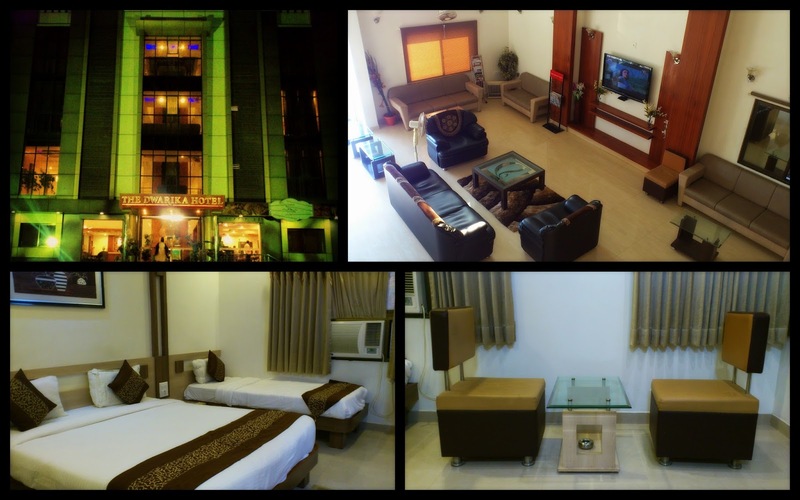 We reached Dwarka late evening and checked in The Dwarika Hotel which I had pre-booked, 3 bedded super deluxe room. The room was quite spacious with all amenities. Pros: The hotel location is perfect. It is on the highway, 2 km from dwarka railway station and 1 km from the dwarkadheesh temple. The prices (tariff and food price) are competitive. Its restaurant Food is good too. Cons: The only negative point was the outside noise was coming inside, walls need to be little more sound proof considering hotel's standard. The construction noise from behind our room was disturbing. Overall stay was cool. Nonetheless, it’s a mid-range hotel. The staff is cooperative but little slow. 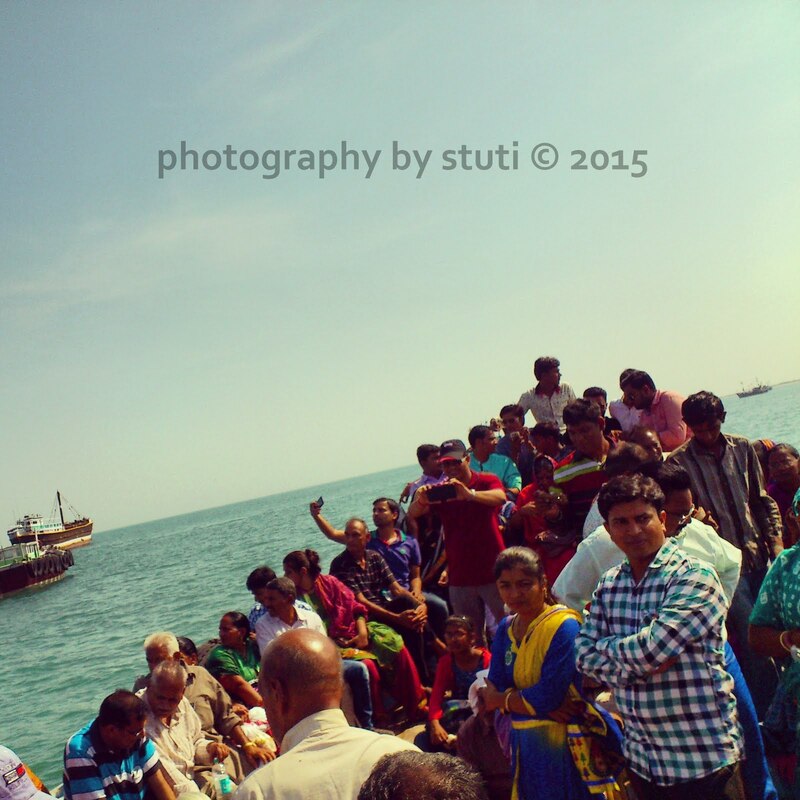 Day 1: Arrival at Dwarka. 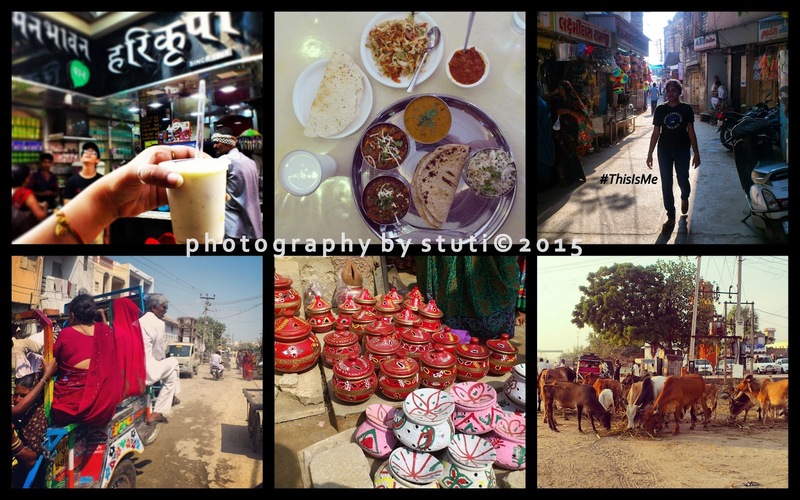 The day we reached hotel, we freshened up and headed to Dwarkadheesh temple which as I said is walking distance from the hotel location. Had dinner in hotel only. Day 2: We left early morning for Nageshwar temple (jyotirlinga) from there to gopi talav, then bet Dwarka, hanuman dandi, then rukmani temple and in evening to swami narayan temple, Gayatri temple, Bhadkeshwar mahadev temple etc. 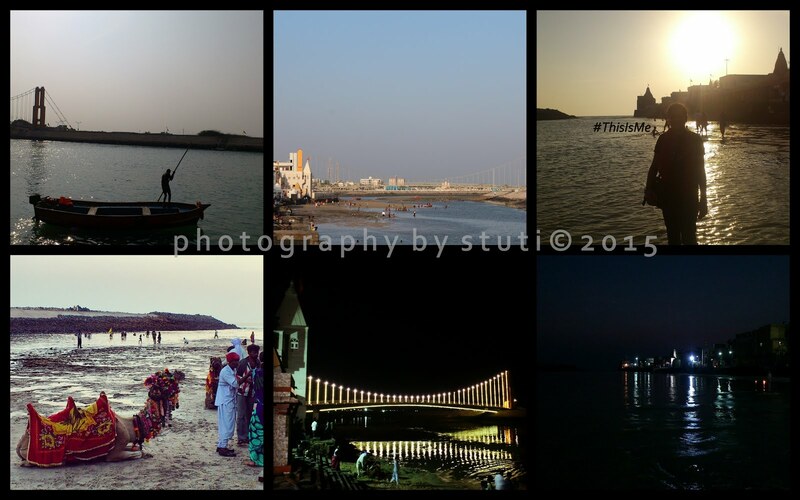 Day 3: Leisure, shopping, visit Dwarkadheesh temple. Day 4: Shopping, visit Dwarkadheesh temple. Departure to Mumbai in the afternoon. Photography is not allowed inside the temple and no electronic gadgets and no luggage. Every such thing you have to leave in the clock room for which you get receipt. You have to pass through the security check like the one we find in malls, airports etc. But one thing which I wanna point out and Gujarat tourism or temple staff shall take in to account is that the security sitting at entrance don’t really seem interested in checking our bags or us. They don’t use that electronic device to check us and are really not bothered. They are either busy chit chatting or eating chips. I was wondering that how can someone not try to create trouble inside or take something along. The security really need to be kept under check and needs improvement. Darshan were pretty good, we had to stand in line. You can offer flowers, tulsi mala and / or prasadam which you can buy from outside temple. Beware of conmen or people who demand money. Just go inside for simple prayer. 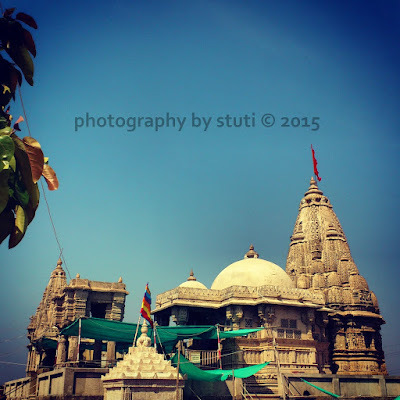 Dwarka, one of the chaar dhaams is not just a pilgrim but home of Krishna. Dwarkadheesh had been abode of lord Krishna where he lived with his queens for many many years as believed by many. This 5 floor temple is truly majestic. I just couldn’t believe my eyes when I saw this temple. Wish I could click this 78m high temple which host a large flag on top with symbols of sun and moon hoisted on it. The temple lies on the bank of gomti river and gomti ghat is picturesque. The ghat is the confluence of gomti river and Arabian sea. You can literally see the union of water from two different sources. Capture the beauty of water and sunset. Also don’t forget to have pani puri right outside the Dwarkadheesh temple. There is a guy who stands outside temple selling pani puri everyday post 4 pm. 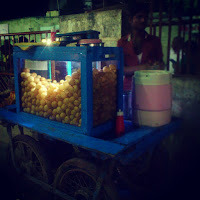 Its self service pani puri. Yeah you got that right. He readies your plate with poori with stuffing of masala and gives water in glass which you have to pore in pooris as you have them. The shopping area is around temple only and that’s it. No bargain but some really great stuff. From kachchi work in clothes to amazing leather shoes to souvenirs and imitation jewellery. Dwarka is truly a tourist place and as per my observation during my stay there, more than half of the earning seem to be coming through tourists. On the way from Dwarka to Nageshwar (Jamnagar) you will also see many windmills. Stop and click. It’s one of the 12 jyotirlinga shrines as mentioned in shiva purana. It’s a peaceful, grand place and the stone made temple is believed to be constructed during the period of Pandavas. The 25m high shiva statue in the temple complex is grand and really beautiful. 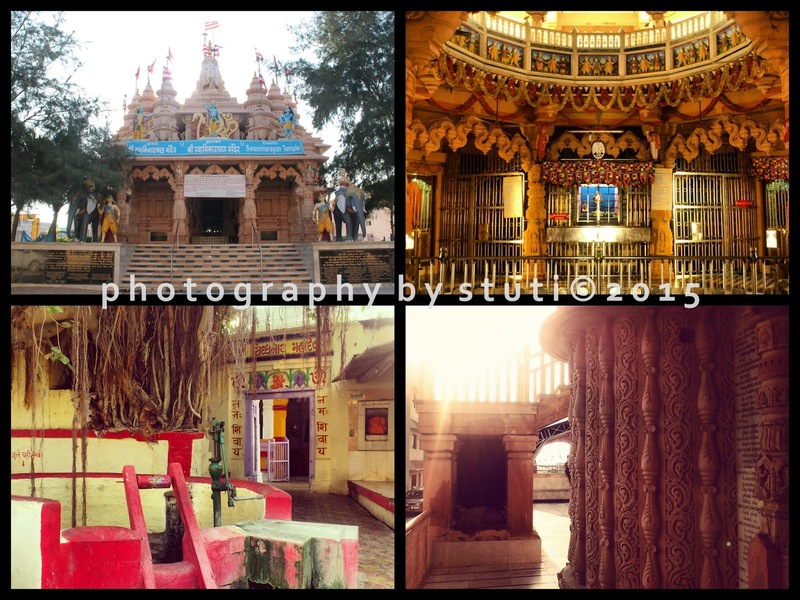 Photography is again not allowed inside but in the temple complex you can click innumerable pictures. The water is not very clean. I saw some ladies washing clothes in it and at the same time a small boy jumping in for a dip. It’s believed that at this place 16000 gopis died by jumping in water post krishna’s death. We also saw that big stone with rama written on it floating in water. I am not sure if that’s true but heart wanna believe it. Bet Dwarka or Shankhodhar is an inhabited island at mouth of Gulf of Kutch situated 3 km off the coast of Okha, Gujarat, India. Bet Dwarka, dedicated to Lord Krishna is considered the part of the ancient city in Indian epic literature and is also found in Mahabharata and Skanda Purana. We reach the island by boat / ferry. The Okha port is not in a great state and need some maintenance. But the 15 min journey to Bet Dwarka was great; the breeze, smell of sea water and so many sea gulls which fly with you. The boats are pretty crowded too. At the island there is Hanuman Dandi, a temple dedicated to Lord Hanuman and his son Makaradwaj around 20 min by tuk tuk. A little far is Shree Chaurasi Dhuna Shaktipeeth, where it is believed that 84 rishis did tapasya together. Situated 2 km away from Dwarka nagri is dedicated to Rukmani (wife of Lord Krishna and incarnation of Goddess Lakshmi). As per legend, it was Rishi Durvasha’s curse that Rukmini had to live apart from her husband Krishna, this far. That apart the temple is beautiful, its sandy all around. The architecture and carving is rich and picturesque. This is an old temple, set in the middle of Arabian Sea. One of the scenic places and I totally loved it. One of the best places in Dwarka. Sunset is beautiful. Just grab the camera and click those shots. Don't forget that light house from your clicks. There are some other temples too in Dwarka City, some new, some old like Swaminarayan temple, gayatri temple, siddheshvar mahadev temple etc.. Architecture, again impressive. There is nothing much, no malls, no big shops. The shopping area is within a km of Dwarkadheesh Temple. You will find tinklets, nice footwear and many clothing in kachchi work. Strictly No Bargaining. There are not many restaurants either. Also, we were disappointed to find that there were no restaurants serving gujarati thali. But then we found a little, well furnished AC, a multi cuisine restaurant "Govinda". We had punjabi thali and it was without any doubt, so yum! A must visit place. Nonetheless, this holy place is a must visit. Hope my itinerary helps you. In case you wanna club Somnath with this trip, you can go there on the third day or the forth and from Somnath you can depart to your place via Viraval. Hope I get to visit Dwarka sometime. Thank you antarik.. its a beautiful place, you shall visit. Try and club with somnath! I was thinking about one gift which i was wanted to gift my mom on her birthday. But i can't understand what i supposed to give her. That time my friend told me about imitation jewellery India. India has many beautiful places. I try to visit this place soon. I come India for one reason especially and that is Traditional jewellery India. Finally checked, we haven't been to any place but Dwarka I like and might go there sometime! However, the post if beautiful with great images.